GFI alumnus, Faith Heitzer, did the artwork for a recently published children’s book entitled, Why is Great Grandma So Sad? Discovering the Holocaust Through the Eyes of a Child. 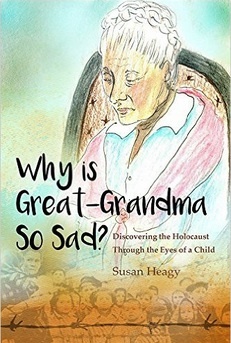 It was written by Susan Heagy who ministers to elderly Holocaust survivors in Israel. “Though this book is written for children ages 7 to 14, it is also intended for any age of people who have difficulty reading anything having to do with the Holocaust of WWII. This story is presented from the personal perspective of a family in the midst of the Holocaust, without trauma but historically correct. Sarah, at the age of seven, does not understand the extreme sadness her great grandmother portrays, prompting her to ask her mother the question, Why is Great Grandma so sad? Her mother decides it is time to relate the Holocaust experience of Great Grandma Hannah beginning at the same age as Sarah. This story gives an account of a family experiencing the onset of WWII, ghetto life, being sent to a concentration camp and the unusual circumstances surrounding their struggle to survive. Through the dialog Sarah comes to have a new view of her great grandmother, Hannah, as a child. Hannah, through necessity, grows up all too quickly. But while she endures these changes and experiences and during times of hiding, her doll Rachael is always there as a confidant and constant companion in her loneliness. She hears also of an unbelievable time when the Jewish people were treated horribly and unfairly. Sarah comes to realize how the Jews, her own people, demonstrated strength and resilience when under pressure, determined to survive. This story brings to life the sadness, and the hope, tightly interwoven in the lives of those who survived the Holocaust culminating with a surprise ending. Throughout this dialog Sarah learns along with the child Hannah about a time in history no one should ever forget. It is the hope of the author that those reading this book will also learn the truth of that time and not allow the voices of those who experienced it to be silenced. This story of Great Grandma is historical fiction. The family is not real but the experiences are. Based on several Survivors of the Shoah, their true life war accounts are included in the book.” Available trough Amazon here. 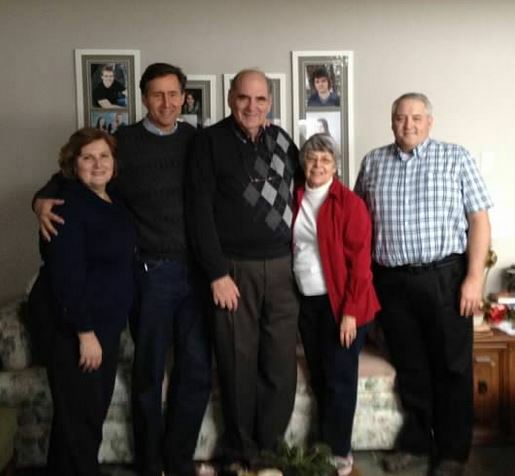 Please pray for Don and Mariam Higgins from Ontario, Canada. They are going with a team of 7 back to Zambia February 2-16, 2016. They will be training about 100 pastors and others, and supplying them with Handbook to Happiness and Wheel & Line tracts. 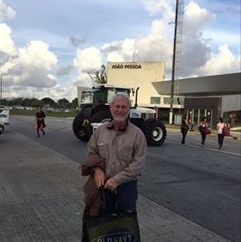 (Photo: John and Linda visited them in December and also met their pastor, David Sparrow, who also will go on this mission trip.) Please pray that the Holy Spirit will minister to all involved!